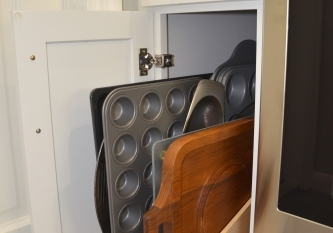 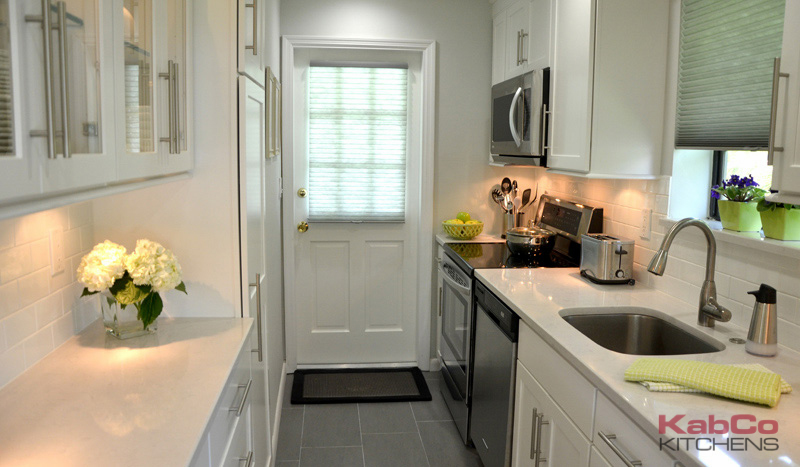 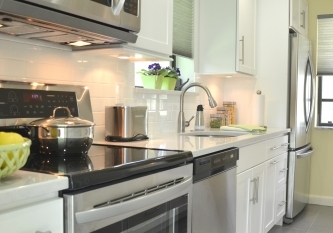 Small spaces packed with charm and function are among the best kitchen transformations. 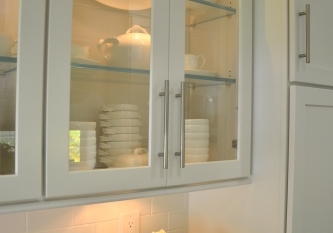 This galley kitchen was lightened up with painted Maple Alpine Cabinets in a classic shaker door style named Sedona. 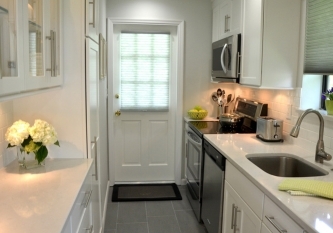 Stacked crown molding reaches the ceiling giving this cozy kitchen a custom feel. 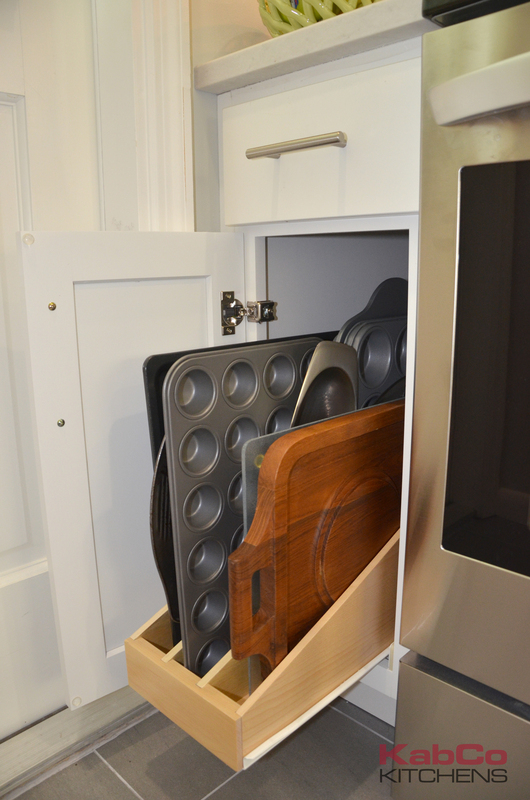 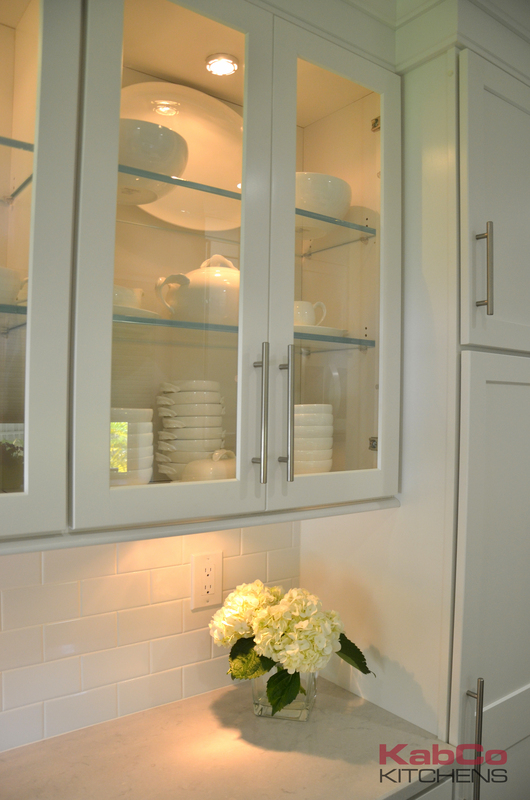 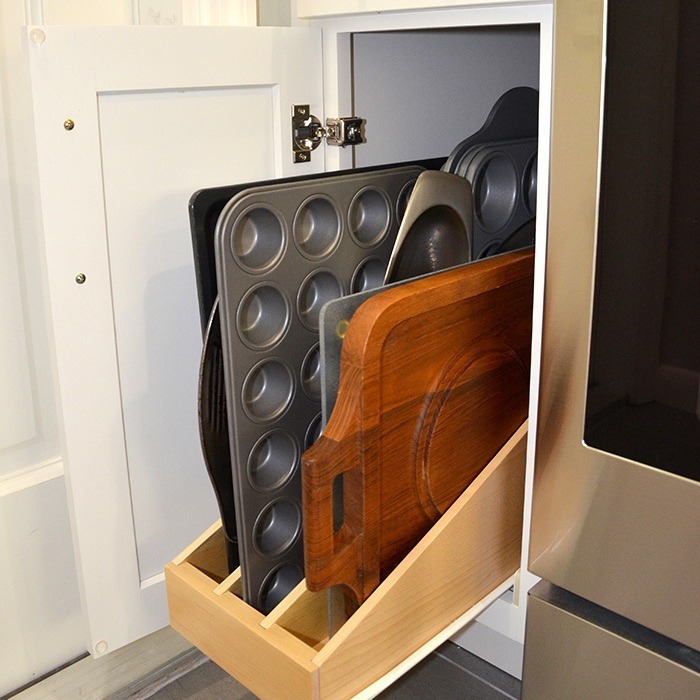 Under-cabinet Molding and lighting enhance this narrow space making it bright and functional. 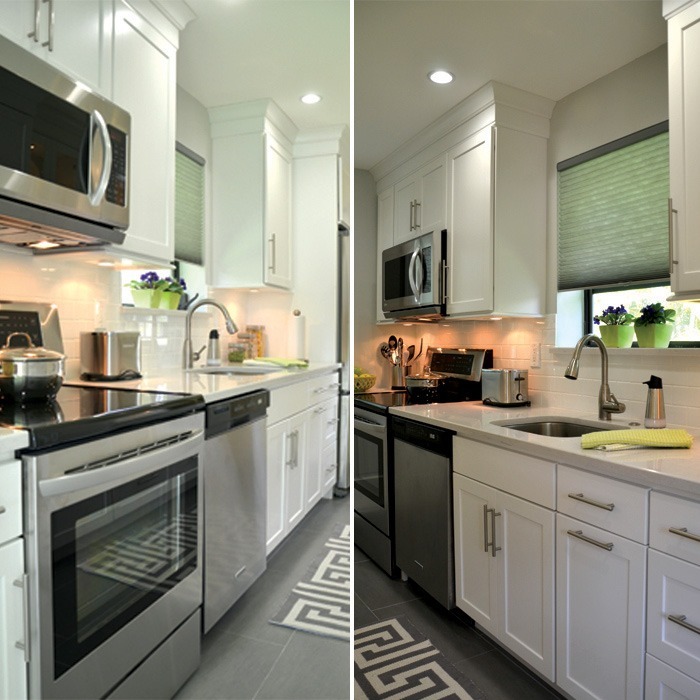 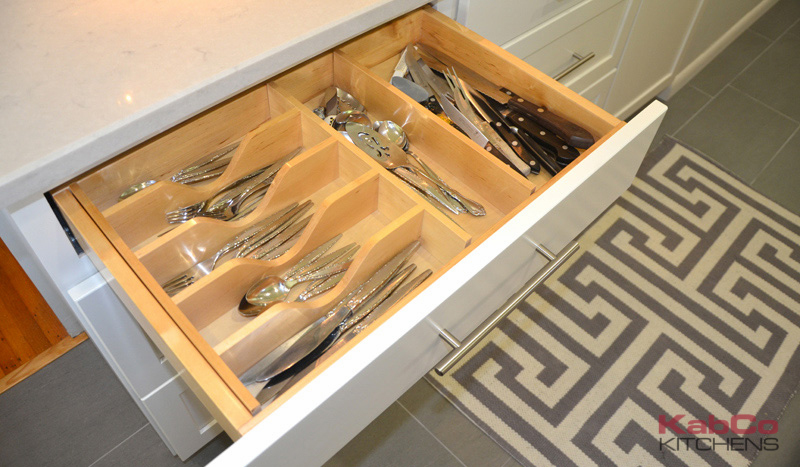 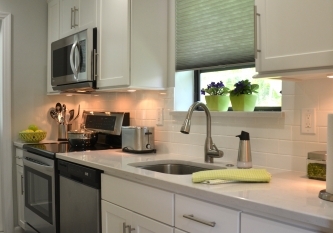 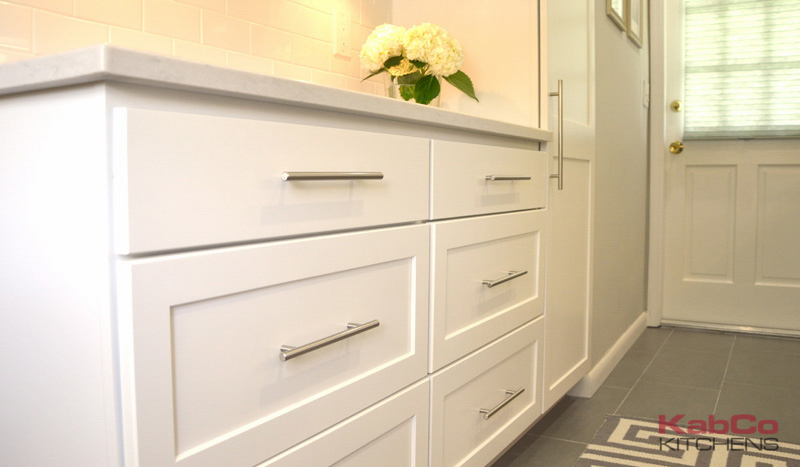 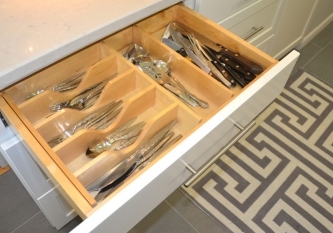 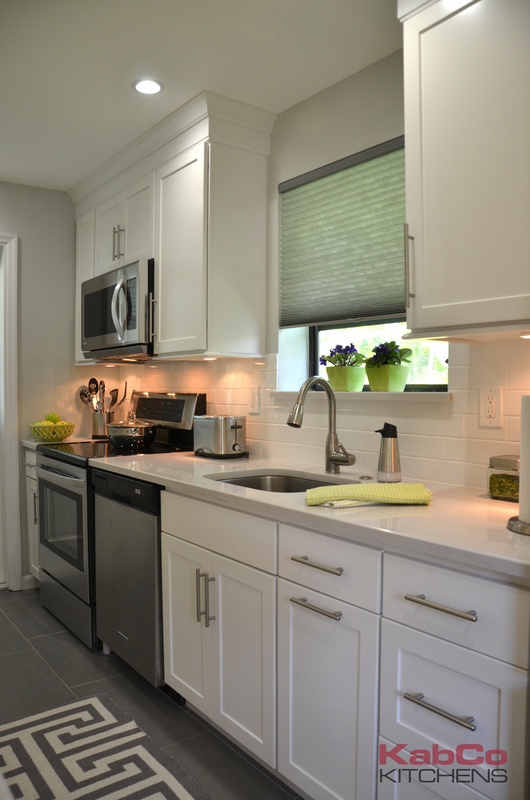 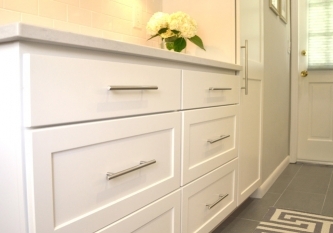 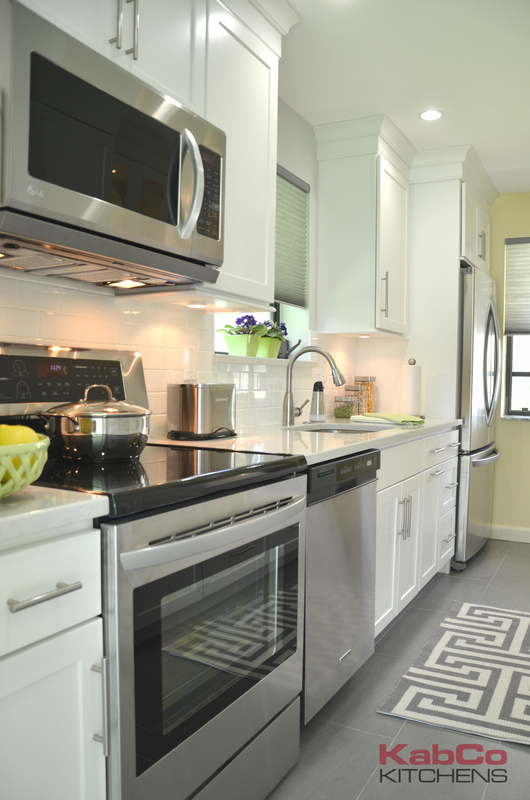 These all-wood cabinets are topped with antimicrobial quartz counters and accented with white subway tiles.